But he’d always remain a true fan! 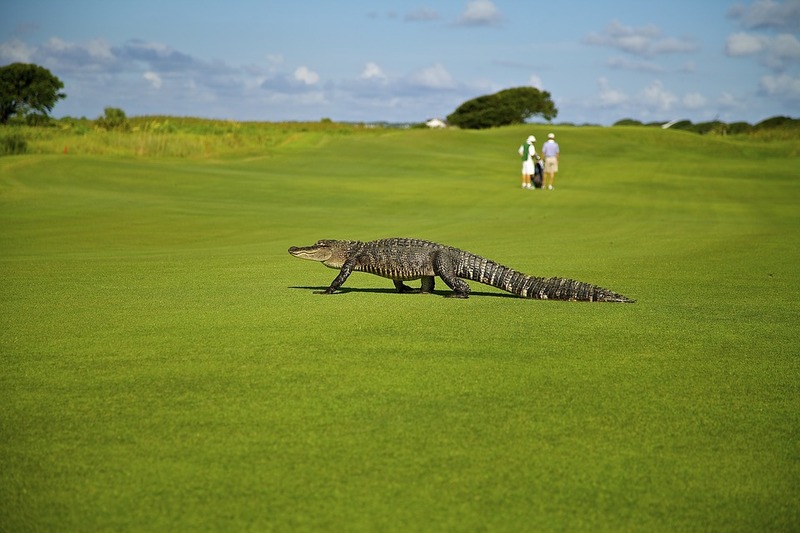 Could you imagine you were on a golf course and your hole in one was blocked by Mr & Mrs Alligator? Would that still count as a hole in one? Better than being eaten by one lol Thanks, Annette!